Congratulations Missy Sanchez, on being honored by the Board of Directors for **20 years** of service at Open Door Central. 20 Years of Service! Missy Sanchez started as a ‘floater’ with Open Door, working with teachers and kids in all the classes at our Central school. In time, she become Assistant Site Director and then Site Director. Social Worker Diana Peyton described Missy as 'the glue' of the Central school. Staff and parents alike are inspired by how she embodies the Open Door way, and Executive Director Larry Elsner and Board members spoke highly of her leadership abilities. Larry remarked that there are (collectively) 144 service years among the 'old timers' at Central — such longevity speaks well of the culture at the Central school and reflects her effective leadership — "that's something you can be really proud of." In speaking about her career at Open Door, Missy said "Open Door is the only school I've ever worked for. I'm an introvert by nature, and it definitely helps to have an extrovert for an assistant!...I've learned so much from this community -- people I respect and admire have helped me grow in ways that have opened my mind and given me skills to open other minds. Thank you"
Congratulations to Diana Peyton and Danni Dieckman, two outstanding staff members at Open Door's Central school who were recognized by the Board of Directors on their 15 year anniversary with Open Door. Diana is a Social Worker at Central, and began her career with Open Door as a social work intern with Executive Director Larry Elsner. She's now a staple in the community and, this past April, was a panelist on the OutYouth/Open Door Community Event 'When Young Children Explore Their Gender Identity'. Danni has been with Open Door for *16* years and is the Assistant Director at Central. Site Director Missy Sanchez praised her spirit and energy and how much the kids and parents adore her. Diana and Danni are deeply devoted to Open Door's mission and, in Missy's words, "we are lucky to have both of them at Central". The Open Door Board of Directors and M Station Site Director Tracey Matchefts recognize Stephanie Cruz (L) and LaToya Payne (R) on their five-year anniversary with Open Door. LaToya and Stephanie are both very strong early childhood teachers, meeting the kids where they are, and doing so in a loving, kind, and inspiring way. They are also recipients of the Nira Changwatchai Living the Mission Award -- LaToya in 2018 and Stephanie in 2017. Megan Stewart and Liz Holder-Crawford recognized on their five-year service anniversary. Executive Director Larry Elsner, East School Site Director Sheila Matthews, and Board Chair Tony Clark presented the Open Door Board of Directors Certificate of Appreciation to teachers Megan Stewart (L) and Liz Holder-Crawford (R). 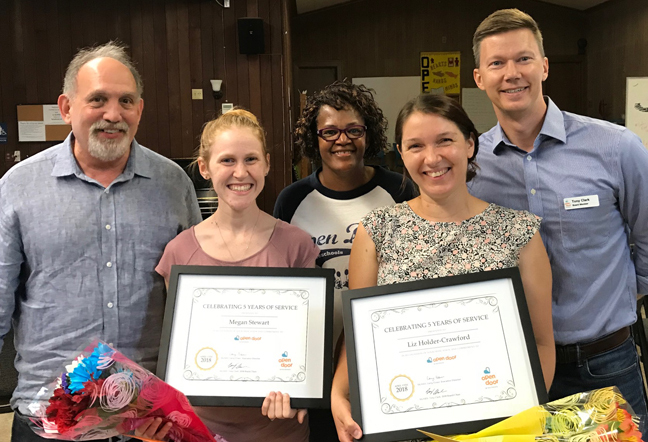 In addition to their exemplary work as teachers, Megan and Liz are also Open Door parents, and Liz has previously served as Assistant Site Director at the East school. CONGRATULATIONS MEGAN AND LIZ! CONGRATULATIONS to Mary Ann Valdez, recipient of the 2018 Madeline Sutherland Award for outstanding service to children with special needs/disabilities and their families. Mary Ann teaches at Open Door Central and is pictured with Central Site Director, Missy Sanchez (l) and Assistant Site Director, Dani Dieckman (r). Among the letters supporting Mary Ann's nomination for the Madeline Sutherland Award, one Open Door parent put it this way: "...I should clarify that while my son's confidence and coping abilities have improved, he still very much needs and receives Mary Ann's support. This is not a transformation story of my son was X and now he's Y. This is a story of resilience: my son is an X and Mary Ann has helped him be a superhero X-man. By accepting who is and meeting there, Mary Ann has helped my son feel free to be who he is and become all he can be." The Madeline Sutherland Award is given by the Austin Chapter of the Texas Association for the Education of Young Children (txaeyc) and we are delighted to have another one of our teachers recognized by txaeyc. CONGRATULATIONS MARY ANN!!! 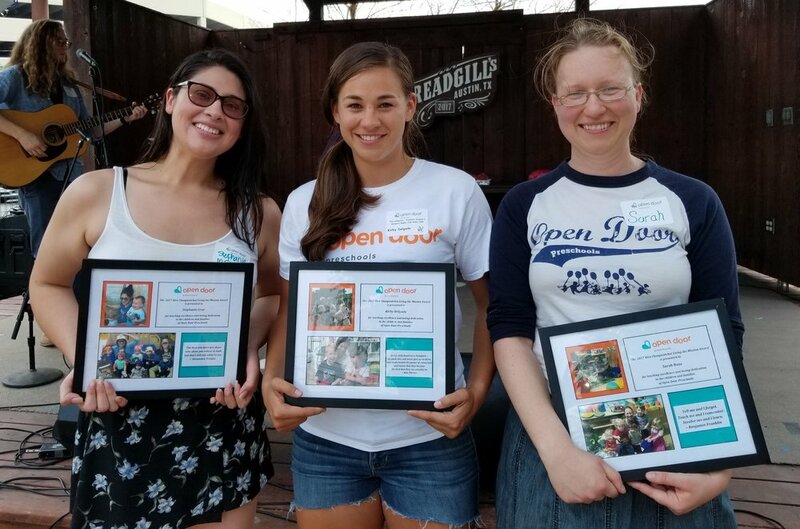 Open Door Preschools was a semi-finalist in the Early Childhood Provider category of the 2018 H-E-B Excellence in Education Award. Over 1400 applications were received from across Texas, and categories included Teachers, Principals, Districts, Early Childhood Providers, and School Boards. Only 25 Early Childhood Providers made it to the Semi-Finalist round, and we are grateful to H-E-B and all of our community for this recognition. THANK YOU! 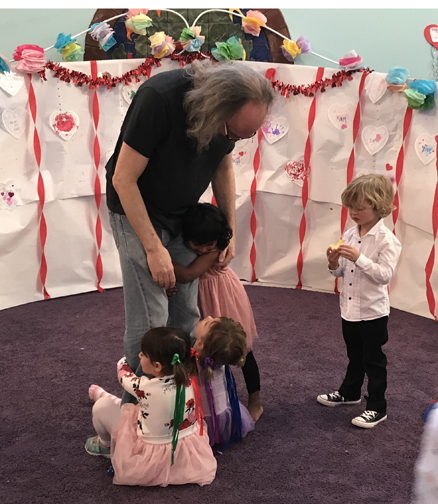 25 Years with Open Door Preschools! 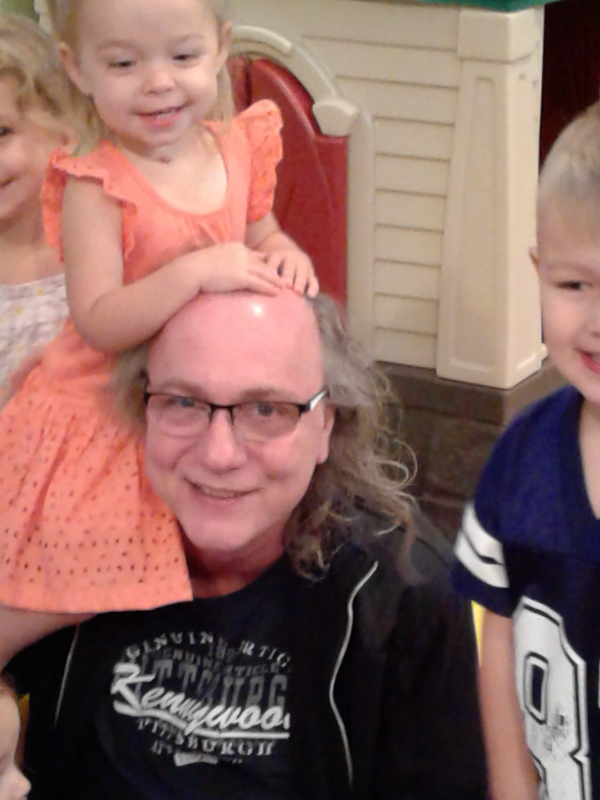 Marking his 25th anniversary as an Open Door Central teacher, Ken Richards has always had a magical relationship with his kids. And -- the hallmark of a great teacher -- he continues to be fascinated by each and every one of them. For many, Ken is synonymous with Open Door. Our teachers are deeply committed to Open Door and nearly half of our teachers have been with Open Door for five years *or more*! 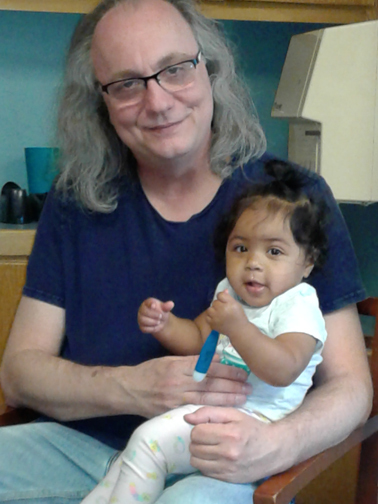 We deeply appreciate all of our teachers, and give a particularly grateful shout-out to everyone who has been with Open Door for 15 years or more: Mary Ann Valdez (off-and-on for 25 years! ); Rihab Nassif (21 years); Missy Sanchez (19 years); Debbie Cooper (16 years); Dani Dieckmann (15 years); Larry Elsner (15 years); John Seibold (15 years). Congratulations to Stephanie Cruz (M Station), Kirby Delgado (Central), and Sarah Boas (East), 2017 recipients of the Nira Changwatchai Living the Mission Award. Stephanie and Kirby have been with Open Door for 4 years, and Sarah has been with Open Door for 7 years!